My name is "Mr. Tricks". 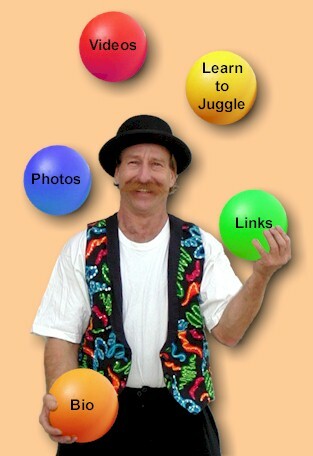 I am a professional juggler from Madison, Wisconsin, and I hope you enjoy exploring my site. To begin, just click on any of the flying balls at right, or the links at the bottom of the page.